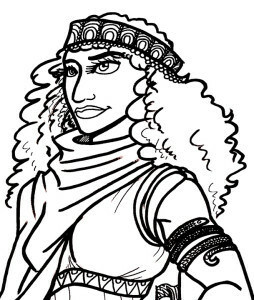 Here’s a close-up of one my my Women Warriors illustrations for sale on Storenvy. As some project are wrapping up, I’m beginning the search for other freelancing work for art, illustration, and comics. Time to build up portfolios and pitch to people! In the meantime, I AM available for commissions. My rates can be found here. I also have new original art for sale on Storenvy, and digital goods on Gumroad, if you wanted something more.